Creditors and financial regulators on Thursday came out against a bailout of troubled Kumho Asiana because the conglomerate failed to reassure them that its self-rescue plan is sincere. "Financial support for Asiana should be aimed at resuscitating the company and not to help the owner family maintain control over it," Financial Services Commission Chairman Choi Jong-ku said Thursday. "We're told that chairman Park Sam-koo is stepping down and his son [Se-chang] is taking over, but I wonder what the difference is," he added. "Creditors will determine if we can expect to see any changes." Choi said Park "had 30 years" to turn things around and questioned whether the three years he is now seeking to get the cash-strapped airline and construction empire back on its feet will make a difference. Earlier, Kumho Asiana turned to creditors for a W500 billion bailout after putting up as collateral the entire stake in the conglomerate's de facto holding company held by Park and his family (US$1=W1,141). 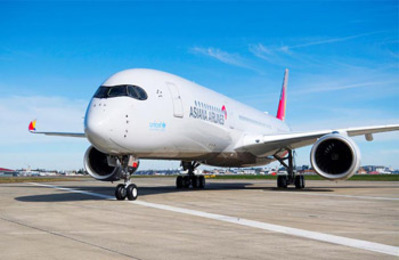 It also promised creditors the right to sell flagship subsidiary Asiana Airlines if the company fails to improve its finances within three years. Park Sam-koo has already resigned and pledged not to return to management, but putting his son in his place gives the impression of a smokescreen for his continued control. Creditors also rejected the self-rescue plan. Main creditor Korea Development Bank in a statement said the plan "lacked concrete steps to boost capital or [plans by the owner family] to spend their own money." It added the plan is not compelling enough to regain the trust of the market. Park and son have already put all their stakes up as collateral for an earlier bailout of Kumho Tire, and the new plan involves the stakes of Park's wife and daughter in the de facto holding company. Kumho owes W3.2 trillion, of which some W1.2 trillion is due this year. The pressure is now on to sell Asiana Airlines, which racked up a net loss of W195.9 billion last year.